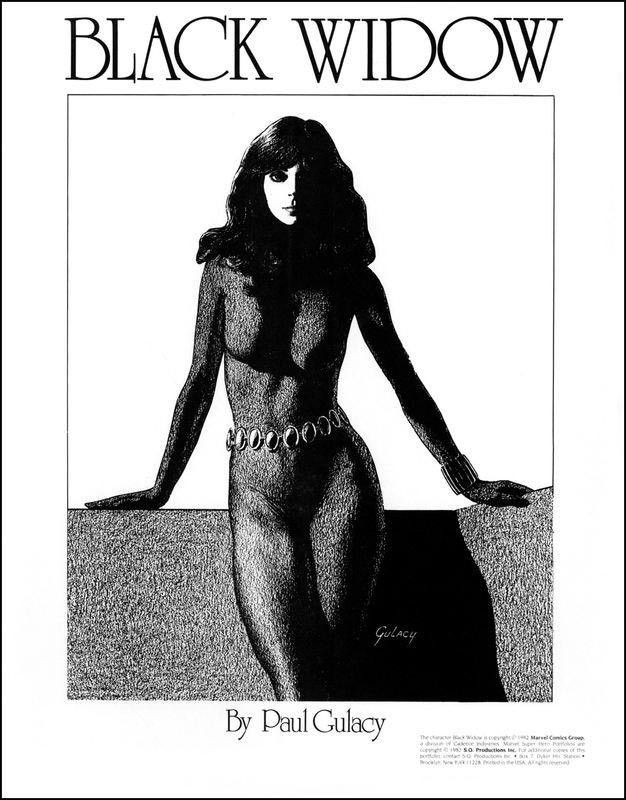 Black Widow Portfolio by Paul Gulacy (1982) | 'TAIN'T THE MEAT… IT'S THE HUMANITY! 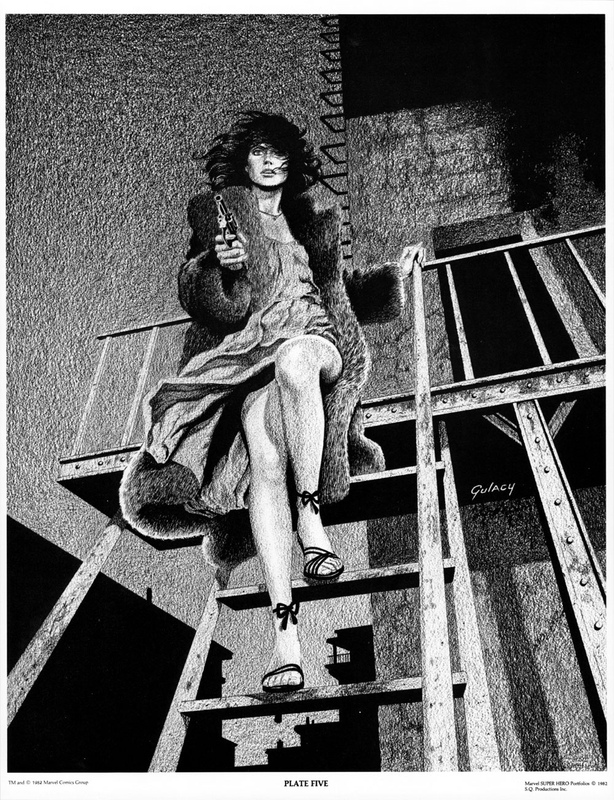 The Black Widow Portfolio featured comic book artist Paul Gulacy’s interpretation of Marvel Comic’s popular Russian secret agent. The set was published in 1982 by SQ Productions, who were responsible for many other portfolios published around that time (click here for other SQP portfolios I’ve looked at). 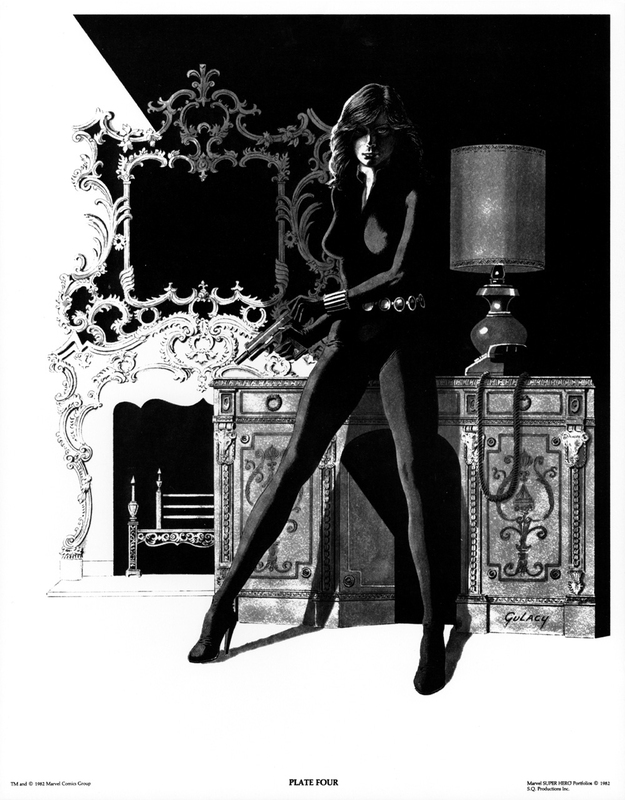 The Black Widow Portfolio contained six 11×14 inch black and white plates printed on thick watercolour stock and they shipped in a white envelope that also featured artwork by Gulacy. 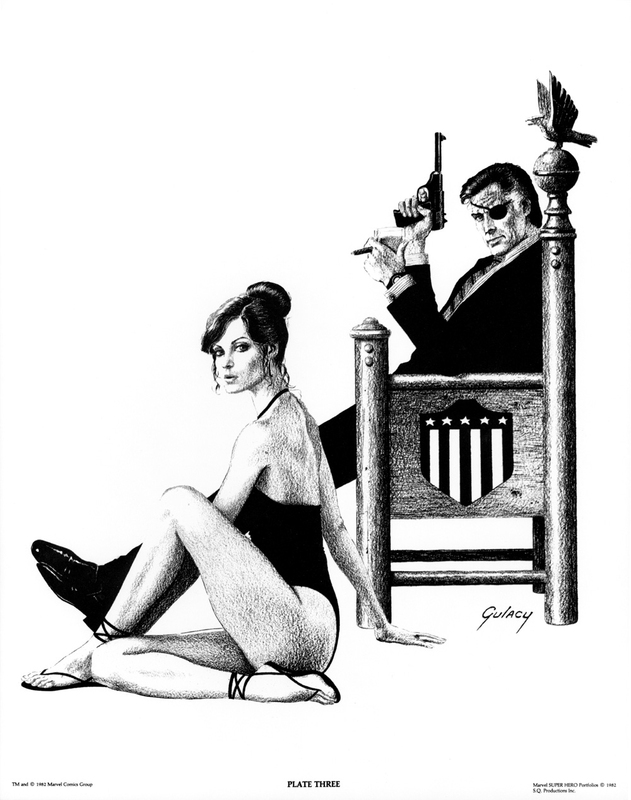 Paul Gulacy artwork first appeared in Marvel Comics’ Adventure Into Fear issue #20 (February 1974). He then moved over to pencilling fan-favourite The Hands of Shang-Chi: Master of Kung Fu, where he remained until 1977 before moving on to work for other publishers. 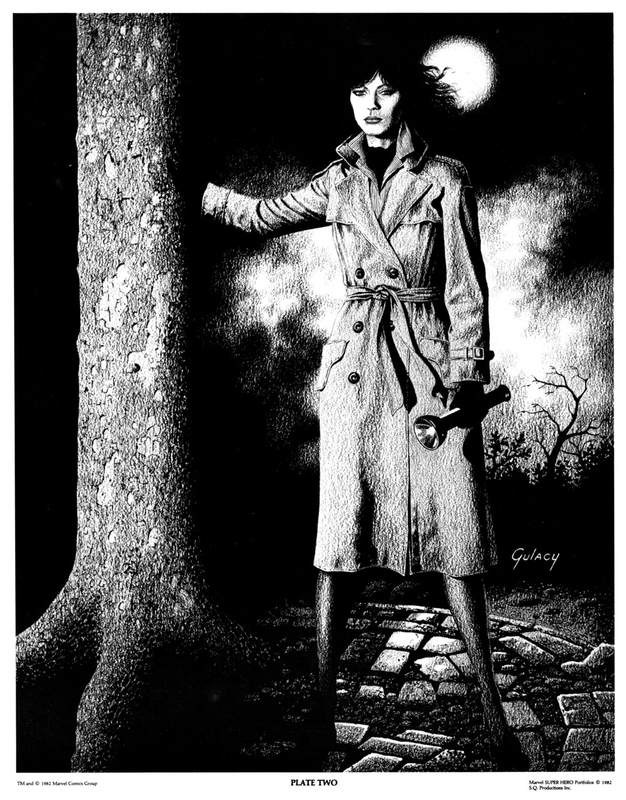 Although Gulacy never worked on The Black Widow for Marvel he still imbued the artwork in this portfolio with a wonderfully brooding, noir feel that heavily emphasises the shadowy world of espionage that the Widow inhabits. All the plates feature strong artwork by Gulacy but number four is probably my favourite as it has a terrific pulp paperback feel to it. Unsurprisingly The Black Widow Portfolio is well out of print but collectors can still find the occasional rare copy on ebay, although it will set them back over £/$50.